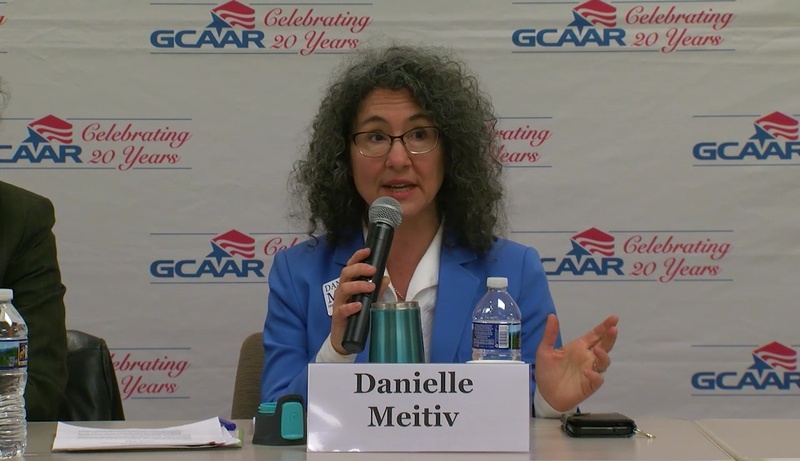 Montgomery County Council At-Large candidate Danielle Meitiv fielded questions from members of three development groups at a forum held in Rockville on Feb. 14. Meitiv responds to a question about County real estate fees. Meitiv’s rebuttal to a question on the fees home buyers are charged in Montgomery County.